Past and present are architecturally melded together to satisfy the desire for modern interiors while maintaining the spirit of western heritage. 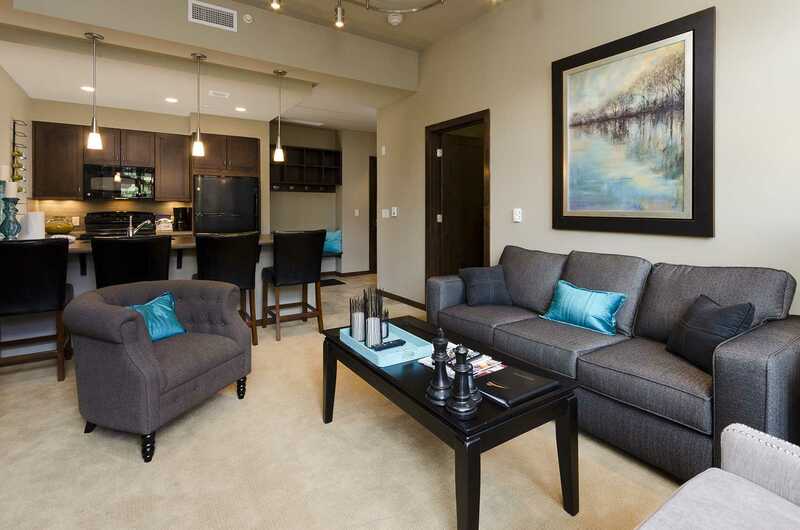 A streamlined look has been created for all the interiors at Howelsen Place. The goal was to combine metropolitan elements with traditional basics while remembering the nostalgia and history that surrounds the building. 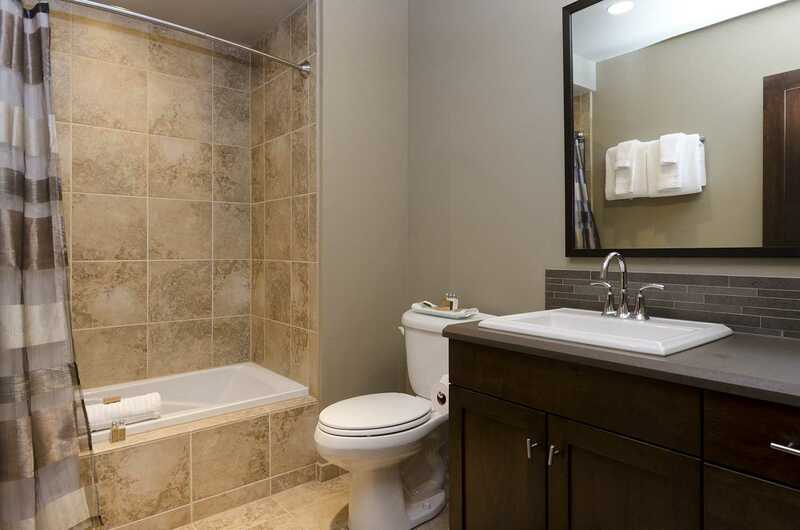 This becomes evident in the use of natural stone tile and warm woods. 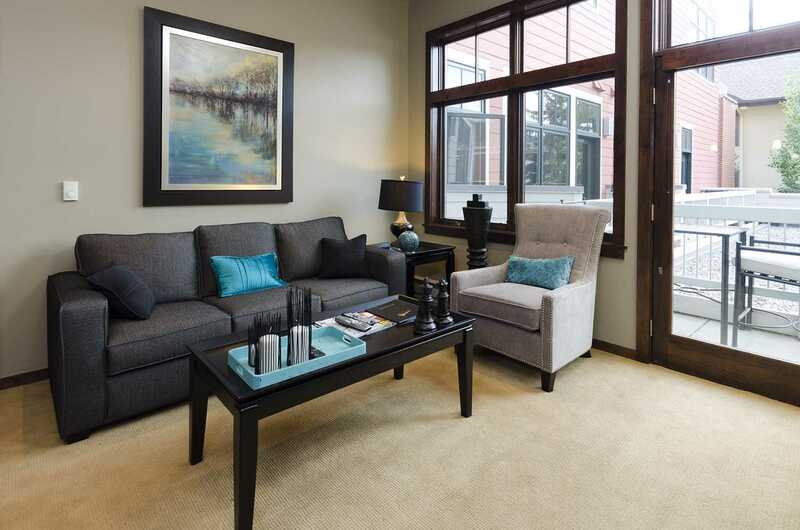 This transitional style is achieved by juxtaposing a warm atmosphere with the idea of an urban loft by using clean lines, geometric design, and a harmonious combination of color and pattern. 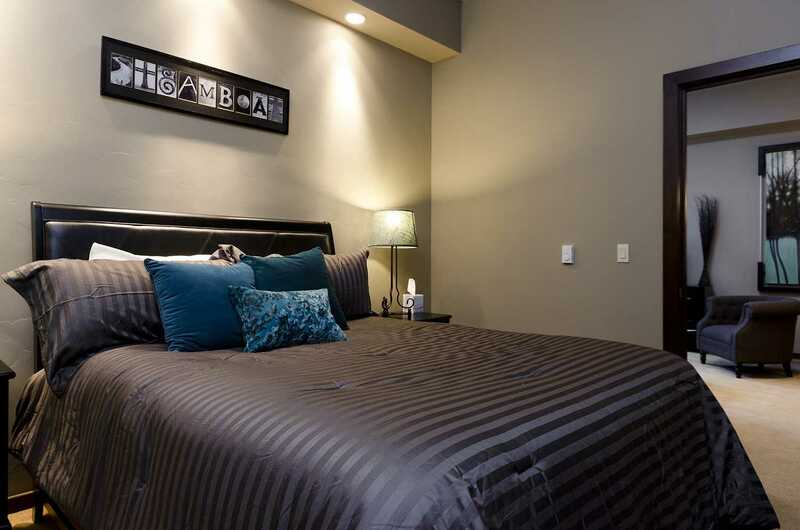 Each finish was chosen to represent the essence of Steamboat. 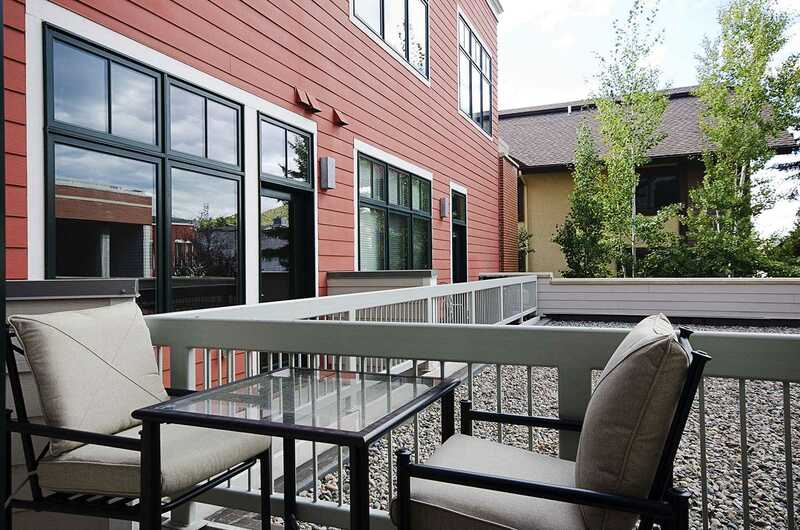 A mountain town full of history that embraces modern luxuries while preserving a feeling of serenity and simplicity. 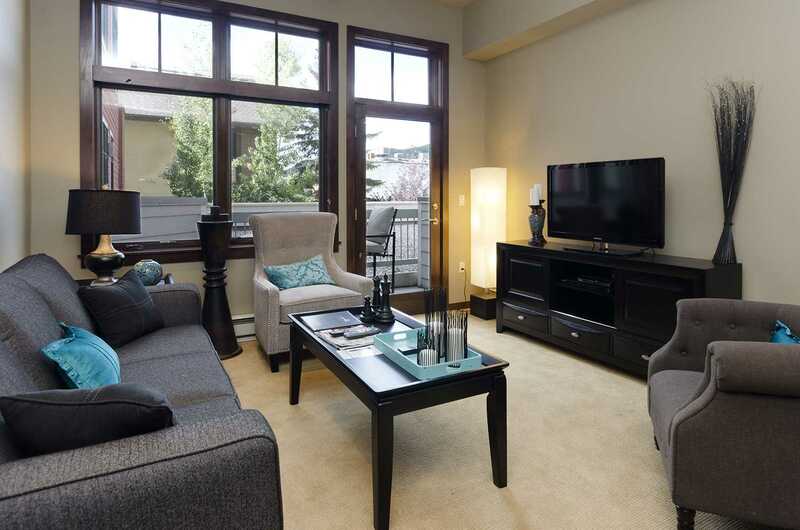 The main living area has a large flat screen TV and modern comfortable furniture. 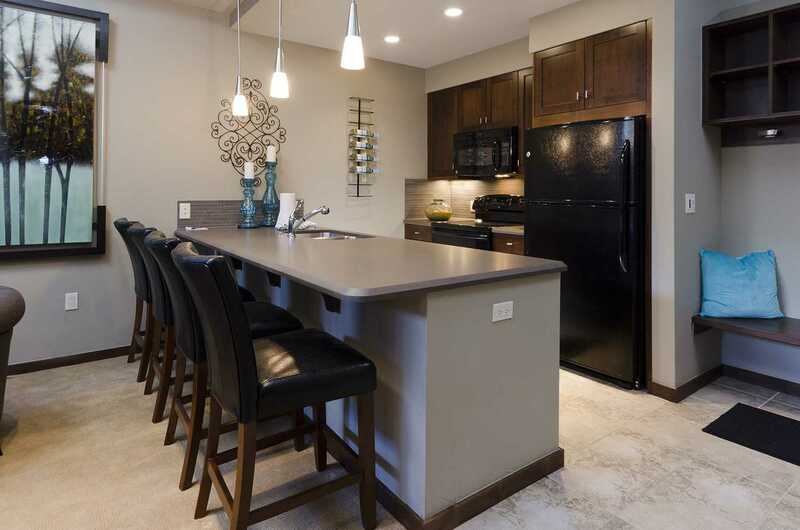 The kitchen is well equipped and 4 people can dine comfortably at the kitchen bar. 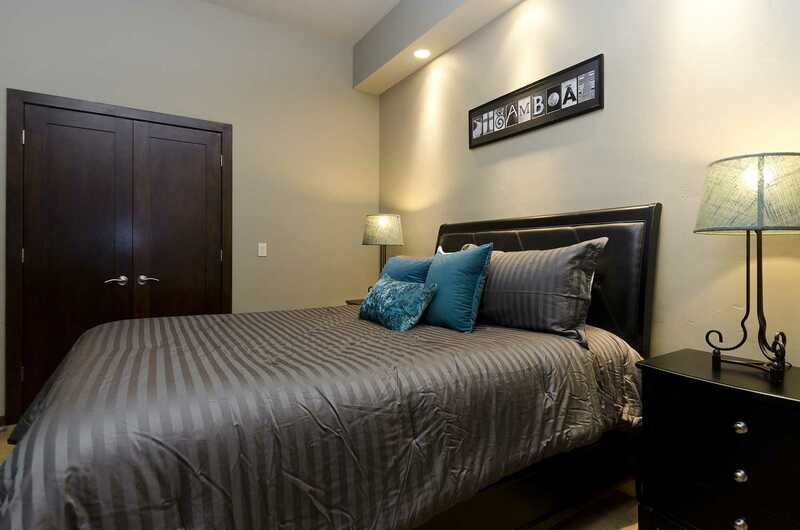 The bedroom of this condominium has a queen size bed, flat screen TV, and private bathroom. 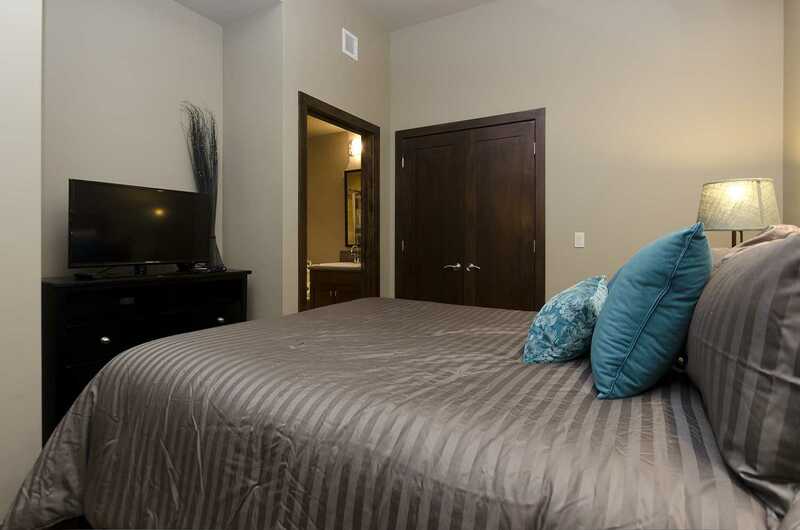 Since there is no window in the bedroom, we call this unit a studio, however the bedroom does have a closet and a door. There is a queen sleeper sofa in the living room. A small patio features a table with two chairs. 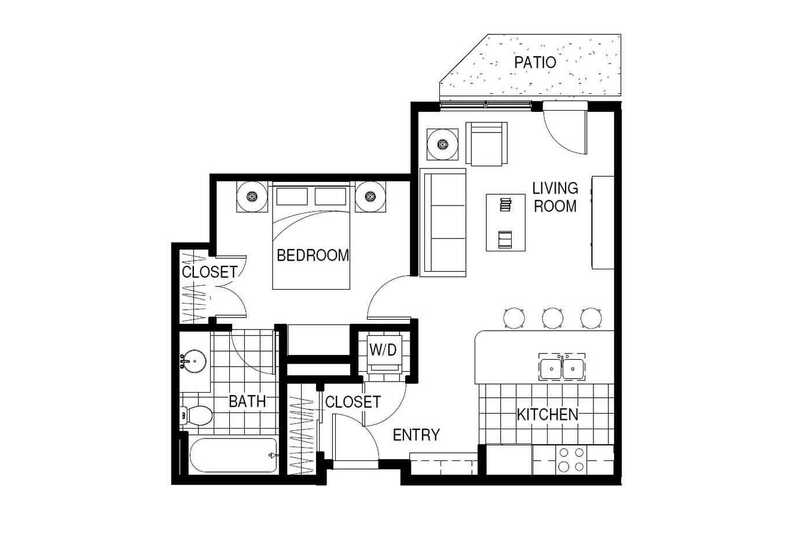 Please note that there is no fireplace in this condominium. 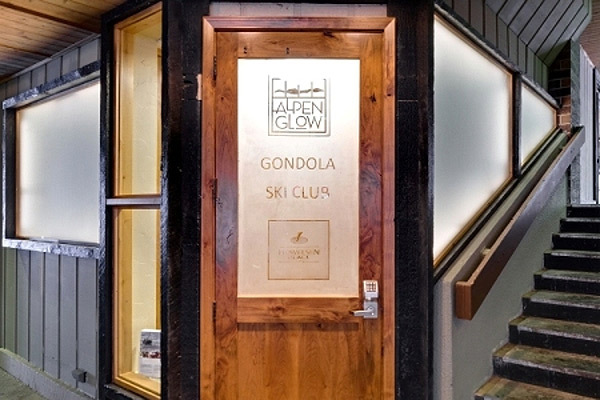 Gondola Ski Club: Guests enjoy the exclusive use of a large, custom ski locker at Gondola Square, just steps away from the gondola. Reference the availability calendar below, then use the form to calculate rates, confirm dates and book H201A online. You may use the form to your right to search availability and check rates of all private home rentals.